Watching people play video games is a spectator sport. 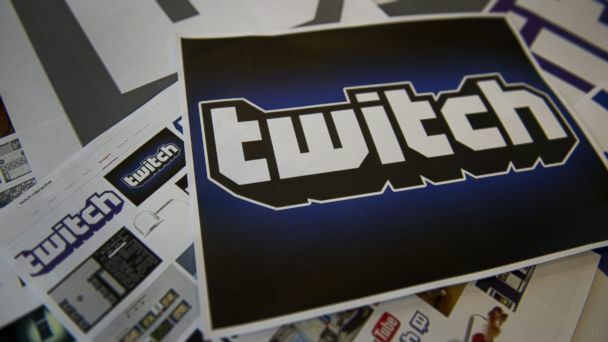 That's why Amazon is paying nearly $1 billion for Twitch Interactive, the most popular streaming channel for people who watch others play video games. Amazon wants to own this space. Twitch is a multichannel online network built for a generation of people who not only enjoy playing video games, but find it entertaining to watch others who might impart tricks and tips for excelling at their favorite games. Twitch had 55 million unique visitors in July. "Amazon has been making a push into gaming, including bulking up its staff of programmers at its studios in Seattle and Southern California," The Wall Street Journal reports. The move by Amazon underlines the growing popularity of gaming. A recent study by the Entertainment Software Association found adult women gamers now outnumber boys younger than 18 as the largest game-playing demographic. Overall male gamers still outnumber females. But the margin is closing - now 52 percent to 48 percent. Burger King is buying Canadian coffee-and-doughnut chain Tim Hortons for about $11 billion, creating the world's third-largest fast-food company. The corporate headquarters of the new company will be in Canada, a controversial move that may help Burger King lower its taxes. Burger King will still run its business out of Miami. Tim Hortons' stock rose more than 10 percent after the deal was announced. Burger King's shares fell slightly. Investor Warren Buffet is helping finance the takeover. The Brazilian investment firm 3G Capital owns 70 percent of Burger King, and will have a majority stake in the new firm. The FBI is now investigating a tweet about possible explosives on a plane carrying John Smedley, the president of Sony Online Entertainment. The American Airlines plane was scheduled to fly from Dallas to San Diego Sunday, but made an unplanned landing in Phoenix for what the FBI called a security threat. The tweet was under an account called Lizard Squad, and at the same time as the threat was made, hackers attacked Sony's PlayStation Network, resulting in an outage that lasted hours. Lizard Squad also claimed responsibility for the outage. Here's a sign more households are going without cable or satellite TV: TiVo Inc. is making a digital video recorder just for so-called cord-cutters. The TiVo Roamio OTA will cost $50, compared with $200 for the regular model. The OTA version records free, "over the air" TV signals and lacks slots for cable service cards. For both models, you need a $15-a-month subscription to TiVo service, which provides programming data and other necessities. The OTA model will be available starting Sept. 14 at select Best Buy stores.